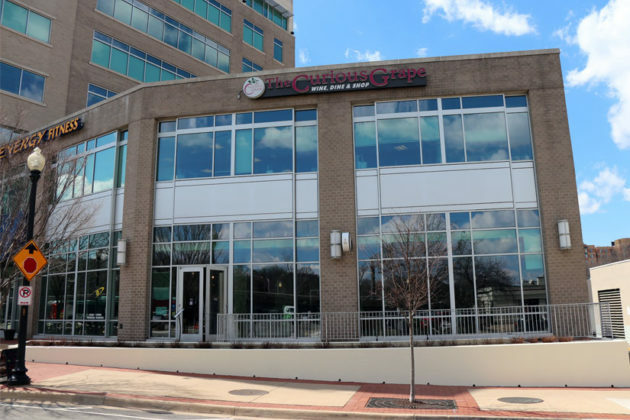 (Updated at 7:00 p.m.) The Curious Grape, the wine bar and shop in Shirlington, closed Saturday night, but a new restaurant will be taking its place shortly. 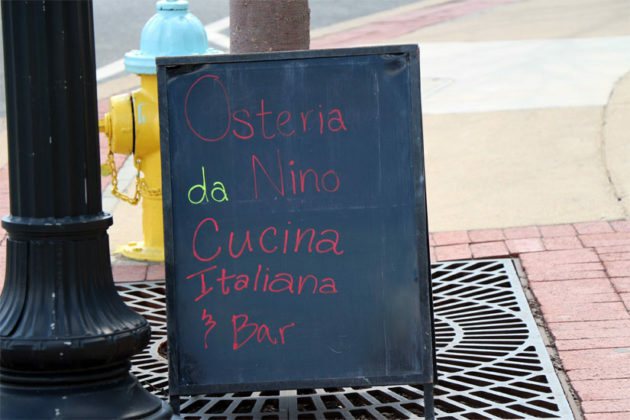 Coming in to the location on 2900 S. Quincy Street will be Osteria da Nino Cucina Italiana & Bar, an Italian restaurant that plans to start its soft opening on Thursday, its owners told ARLnow.com today. The restaurant is being launched by a pair of couples and helmed by Italian chef Nino Pino, who has worked at a number of restaurants in Northern Virginia, including Palio Ristorante in Leesburg. 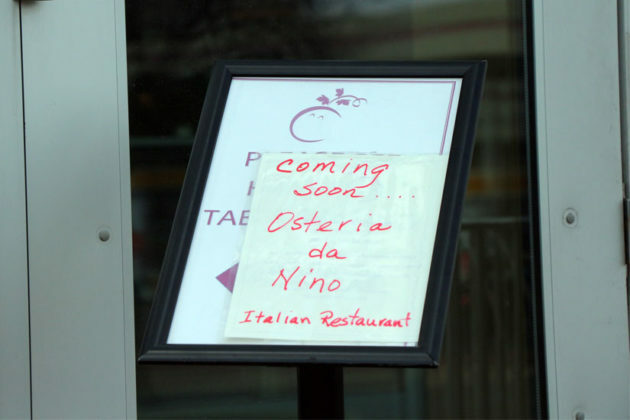 Crews will be working around the clock until Thursday night, when Osteria da Nino hopes to get in a few practice runs before a planned Easter brunch on Sunday. The turnaround might catch some by surprise — many restaurant openings take more than a year in Arlington. Even more so because The Curious Grape had been a Village at Shirlington staple for more than a decade. Osteria is looking for waitstaff, bussers and kitchen staff to join the team immediately, and is asking those interested to apply in person. Local Woof: Is Your Dog Overweight?